Carla J. Cox is an experienced health care regulatory lawyer who represents numerous types of health care providers in state and federal health care regulatory and enforcement matters. Examples of the types of matters Ms. Cox handles include license revocation appeals, appeals of Medicare/Medicaid terminations, appeals of state and federal civil monetary penalties, and Medicare/Medicaid reimbursement matters. She also represents health care clients in health care compliance matters such as developing compliance plans, conducting compliance audits, investigating and self-reporting possible Medicare/Medicaid fraud and abuse, and defending civil actions alleging Medicare/Medicaid fraud and abuse filed by state and federal enforcement agencies such as the Office of Inspector General and the Texas Attorney General’s office. 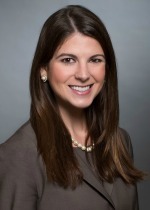 Ms. Cox has extensive litigation experience in both state and federal court. Her litigation experience includes suits for declaratory and injunctive relief against state regulatory agencies as well as appeals of decisions by administrative agencies in state and federal court. She has briefed and argued a number of appellate cases in the Texas Court of Appeals, the Texas Supreme Court, and the federal 5th Circuit Court of Appeals. 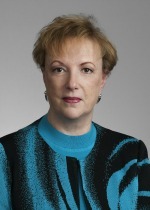 Ms. Cox has extensive experience representing clients before state administrative agencies including the following: Texas Department of Aging and Disability Services; Texas Department of State Health Services; Texas Health and Human Services Commission; Texas Medical Board; and the Texas Board of Nursing. Trey J. Blocker is a native Texan with more than 20 years of political, legislative and legal experience. He regularly represents clients with issues before the Texas Legislature and various state agencies. He serves as an ethics advisor to corporations, PACs, candidates and officeholders – helping them maintain compliance with the state’s complex campaign finance and legislative ethics laws. 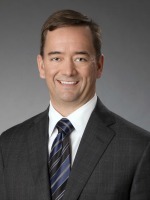 He also serves as the general counsel for several trade associations and non-profit corporations. Prior to forming Trey J. Blocker, PLLC, Blocker was a lobbyist, ethics attorney, and litigator at one of Texas’ top law firms. His litigation practice focused on eminent domain and land use matters, drawing on experience representing both condemners and landowners to ensure his clients received the best possible representation in this highly specialized field. Before entering private practice, Blocker served in numerous capacities within state government. He was an assistant to the governor, legislative director for several members of the Texas House of Representatives, and Chief of Staff / General Counsel for a state senator. During his time at the Capitol, he focused on environmental issues, business & commerce, water law, and telecommunications. Blocker’s political experience includes working on several Texas House races and successfully managing a race for an open Texas Senate seat covering 36 counties. It was during this time Blocker began advising candidates on campaign finance law. He now has over 15 years of experience representing clients before the Texas Ethics Commission, forming and operating political action committees, and providing general guidance on ethics compliance issues. Margo Cardwell is an attorney at Trey J. Blocker, PLLC. Her transformative vision for identifying solutions to complex policy dilemmas makes Margo an invaluable asset to the entities she represents. Born and raised in Austin, Margo previously worked for one of the state’s largest trade associations before serving as the general counsel for a Texas state senator. Most recently, she was the chief policy analyst for Greg Abbott’s gubernatorial campaign.